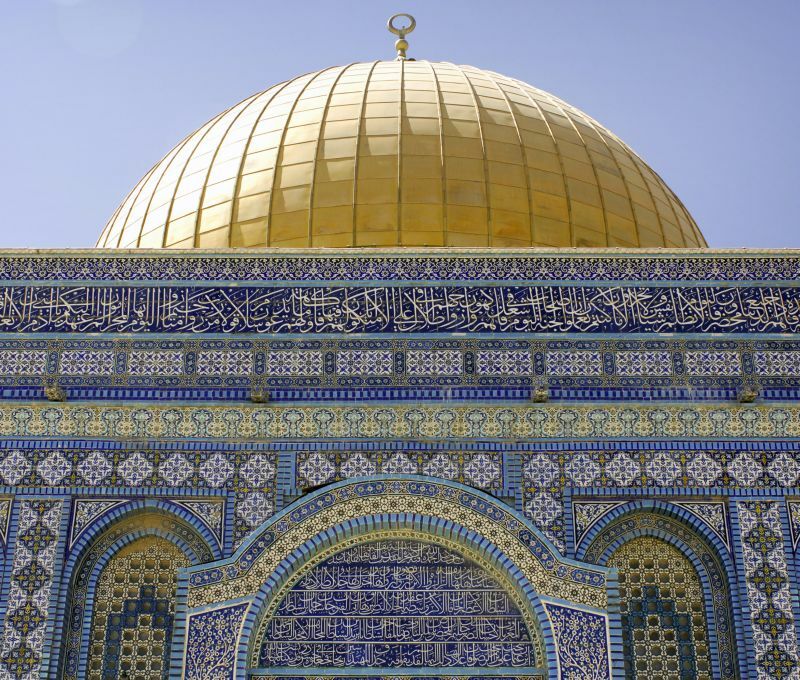 The Dome of the Rock (Qubbat As-Sakhrah) is among the world’s select few monuments that epitomizes political, religious and even architectural paradoxes. It is rightly considered as a very important Islamic shrine (not a mosque), and also believed to be among the oldest Islamic architectural specimens. However, the significance of the site on which it is built, goes well beyond the physical embodiment of the grand structure. 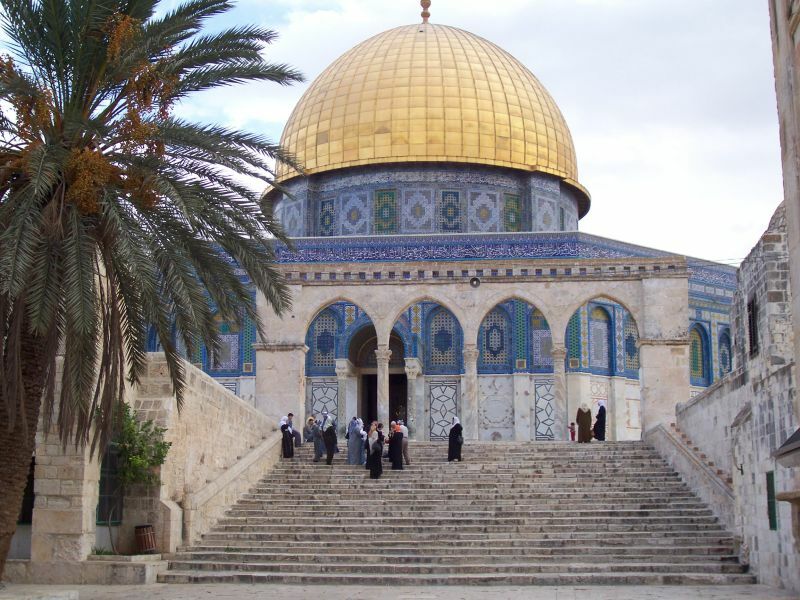 The Dome itself is around 20 m (66 ft) in diameter and 20 m in height, while it rises 34 m (112 ft) above the stone paved platform of the Temple Mount. The plan from the aerial perspective is octagonal, and each facade of this imposing octagon has individual width of 18 m (59 ft) and height of 11 m (36 ft). Hence the overall perimeter of the base results in a collective dimension of 144 m (474 ft). This was the very location where King David built an altar to appease the gods in the 1st millennium BC. 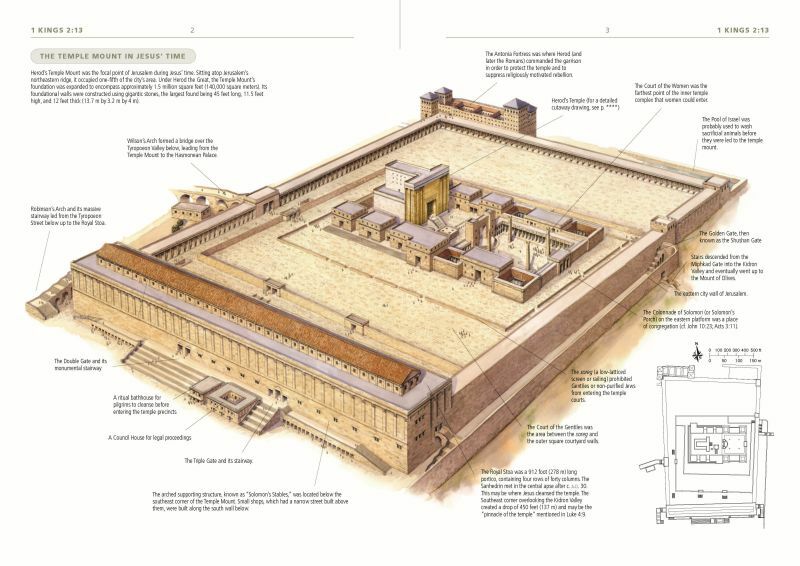 Later on his son – King Solomon, ordered the construction of the great Temple in which the fabled ‘Ark of the Covenant’ was housed (hence the site came to be known as the Temple Mount). 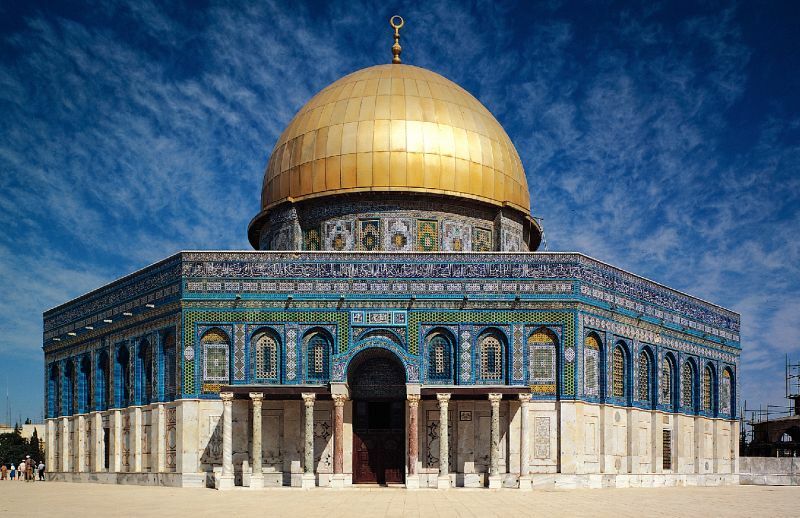 All of these fascinating endeavors allude to the traditional Jewish belief of the Temple Mount being the mystical space from which Earth itself expanded! 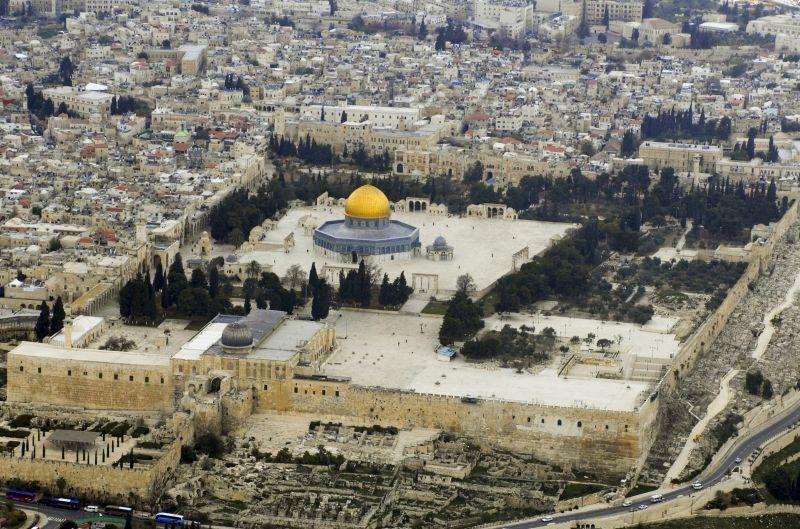 After more than 1,600 years (during which a Jewish Second Temple was constructed, destroyed and probably even turned into a Roman temple to Jupiter), it was the Arab conqueror of Jerusalem, caliph Umar ibn-Khatib, who uncovered the original rock. A mosque was promptly built on the site, and the location was declared as a holy pilgrimage center for the burgeoning Muslims. In fact, the ‘rock’ was treated as a sacred shrine by the flourishing newcomers because of its distinction of being the revered scene of Prophet Mohammad’s Night Ride, when he supposedly ascended heaven to have an audience with God. 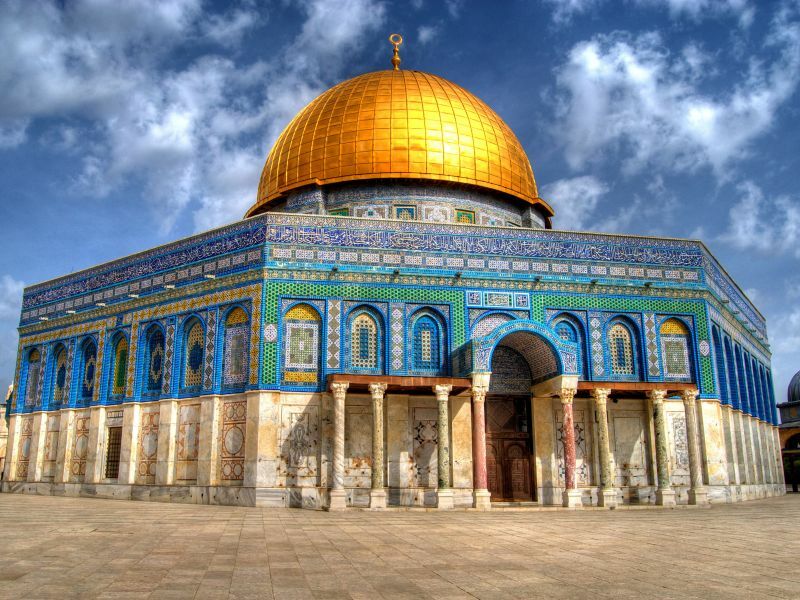 This adoption of form and space (which was very common during the epoch) had led many over the millennium to label the Dome of the Rock as being ‘un-Islamic’. But some present-day scholars believe – the grand rotunda, which was then alien to Islamic style, was adopted for the sole reason of ‘competing’ with other religious buildings of the foreign factions, like the proximate Church of the Holy Sepulcher. The end result is certainly successful with the majestic monument exhibiting a fine essence of mathematical rhythm that ultimately leads to the incredible visual impact. 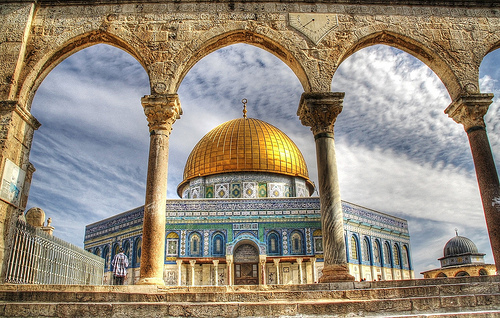 Caliph Abd el-Malik of the Umayyad Dynasty was the ruler under whom the grand project of the Dome of the Rock was undertaken. In fact, he is commemorated on the inside of the magnificent structure. But the latter Abbasid caliph al-Mamun decided to take the credit for himself, and as a result he had the inscription changed to his own name. Oddly enough, he incompetently forgot to change the date! 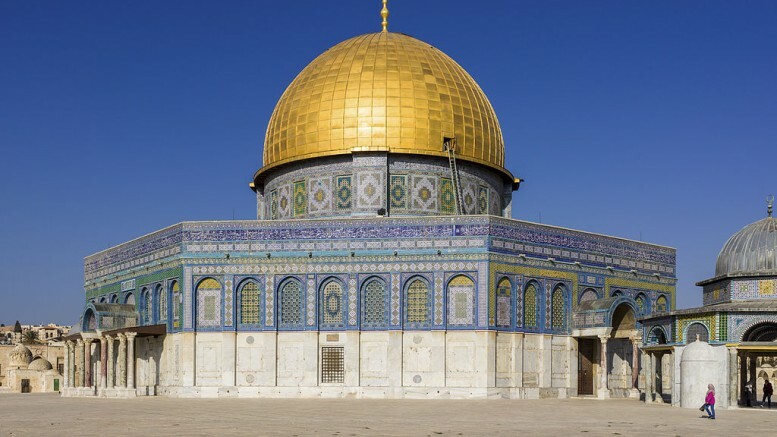 Due to this historical case of ineptitude, the momentous construction of the Dome of the Rock is still rightly attributed to Caliph Abd el-Malik. 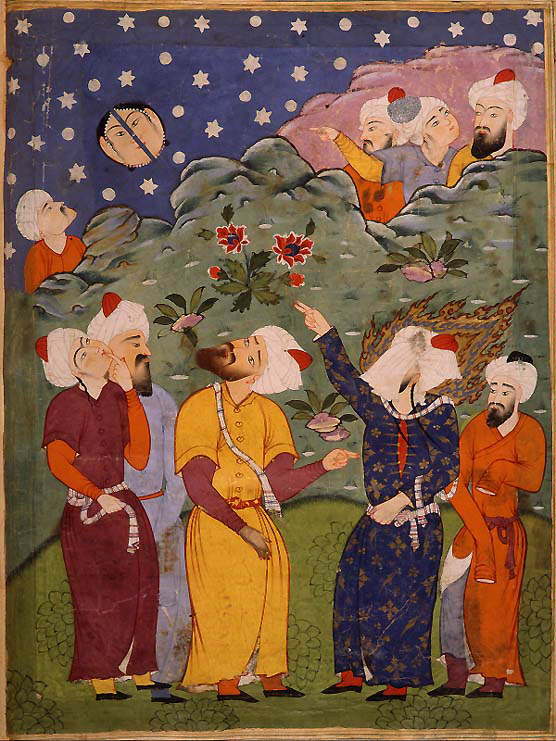 The grandiose scope of both the scale and the form of this Islamic shrine was an intentional ploy on the part of the early Umayyads. Some modern historians even believe the magnificent endeavor was undertaken to deliberately draw away pilgrims from Mecca, which is still the holiest site for the Muslims. In any case, the magnificence of the shrine is translated in physical terms by the conspicuous dome, which is presumed to be originally crafted from solid gold. The shape of the dome also has a symbolic side – with the outward curvature manifesting the sacred rock that it encloses. 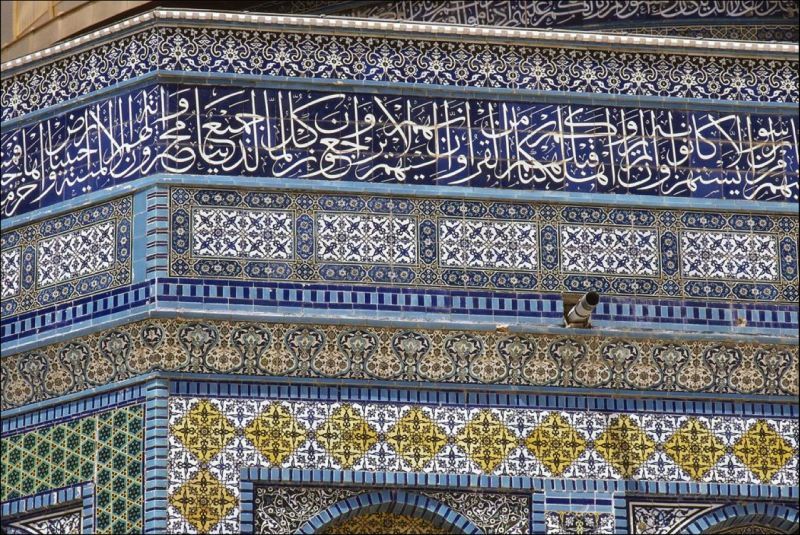 1 Comment on "8 remarkable things you might not know about the Dome of the Rock"
Both are a sight to see, unfortunately many conquerors destroy temples of past cultures to endorse their own!